An estimated 10 million tonnes of food produced in South Africa is not consumed, while 26% of South Africans are hungry, and a further 28% at risk of hunger (WWF 2017). A number of factors account for this surplus, including supply chain weaknesses; urbanisation; and a growing demand for food, particularly processed foods. As more food is produced, so more food is either lost (inedible or not usable) and wasted (edible food that is destroyed, rejected or discarded). This staggering food loss and waste occurs mostly in the agricultural and post-harvest stages, and to a lesser degree in the processing, packaging and distribution stages. When one includes the resources used to produce the food (water, energy, and disposal costs) to this lost or wasted food, it seems unthinkable that such a paradox exists in the South African context. These wasted resources have a negative impact on our already weak economy. Since more than 25% of South Africans cannot afford to buy food, least of all afford nutritious food, this food insecurity burden seriously threatens the economic viability of our economy. Diet plays an important role in healthy living, and having access to a diverse selection of food groups is necessary to stave off chronic diseases and maintain proper immunity to battle infections. Of primary concern to us is the growing incidence of stunting amongst children under 5 years of age. If they experience chronic hunger at a formative stage, their full development potential is compromised and even diminished. Targeted food security interventions are costly to implement and maintain, and the return on investment may not be realisable in the short to medium term. While some specific interventions may be necessary to redress or reverse malnutrition related diseases, there is a more cost effective method that we believe should also be considered as a viable food security intervention programme called Foodbanking. Foodbanking simply involves sourcing, collection, sorting, and distribution of edible, within-date surplus food donated from supply chain partners, for distribution to registered NPOs that provide community based feeding programmes. The model is simple, yet cost effective and impactful. FoodForward SA is the largest not for profit surplus food distribution organisation in South Africa. We collect food from two sources: (1) from suppliers’ distribution centres across the country into our warehouses, using our large logistics infrastructure, and (2) using digital technology called FoodShare, to link our partner retail stores and other food outlets to our Beneficiary Organisations (BOs) for the daily collection of edible surplus food. 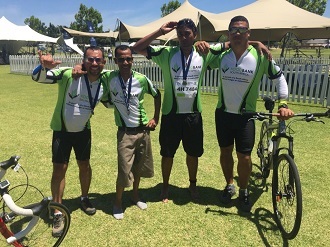 FoodForward SA does more than just provide food to those who are hungry. At least 75% of the beneficiary organisations that receive regular food focus on education, vulnerable children, youth skills development and women’s empowerment. The food we provide is enhancing development, since these organisations can use the grocery bill savings on much needed education materials, infrastructure, operating costs, and even as an incentive for people to attend their courses / offerings. Secondly, the donated food is of a high quality, provides a good variety including cereals, grains, fresh fruit and vegetables, and 70% of the food we distribute is nutritious food. 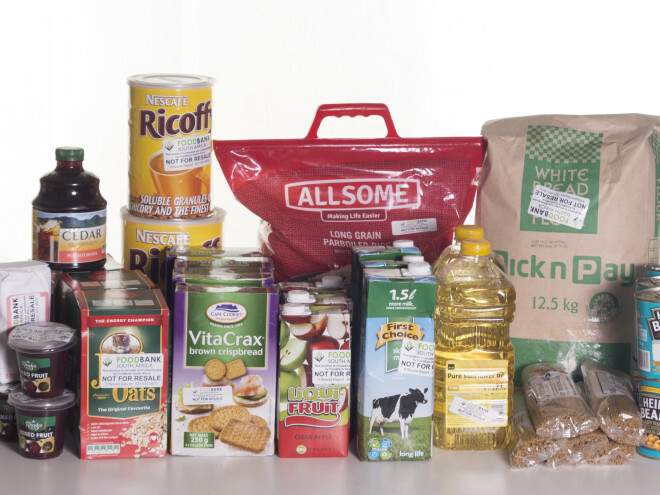 Our proud food donor partners include Pick n Pay, Shoprite Checkers, Nestle, RCL, Food Lovers Market, RCL, Albany, Kellogg’s, McCain, Clover, and Pioneer Foods. Last year FoodForward SA collected 4,400 tons of surplus food from our food donor partners, translating into 17,6 million meals, with an estimated retail value of more than R200 million. This is an average of R330,000 worth of food per beneficiary organisation per year. 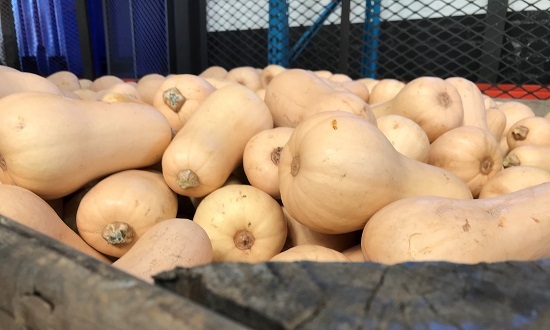 Although FoodForward SA collects donated food from more than 120 food donors, there are over 12,000 wholesalers, retailers; manufacturers, and farmers from which surplus food can potentially be collected. Hence, the potential for Foodbanking as a means to address food insecurity at scale is still largely untapped. A cursory calculation scaling the Foodbanking model by a mere 50% will result in a staggering 35 million meals annually, with a retail value of R1,6 billion. When one also factors in the positive environmental impact of food not being dumped in landfills, there is no question that this model should be further explored as a viable cost effective solution to address food insecurity. An independent analysis of the greenhouse gas emissions savings of FoodForward SA’s foodbanking model conducted by WWF and Greenhouse reflect a total saving of 17,600 tonnes, which is equivalent to 3,700 passenger vehicles being driven every day for a year, or the annual electricity usage of 6,000 South African households. Given the enormous impact of implementing the Foodbanking model at scale, there is definitely a case to be made for how edible surplus food should be considered as another alternative to address the food insecurity burden across South Africa. ← Mastercard and Pick n Pay collaborate with FoodForward SA to donate more than one million meals!